TOELLNER si propone sul mercato, sin dal 1972, con apparecchiature elettroniche di prova e di misura della massima qualità. Alimentatori da laboratorio, alimentatori ad alte prestazioni, alimentatori di funzioni arbitrarie, generatori di funzioni, generatori arbitrari, amplificatori a banda larga ed amplificatori a 4-quadranti. The wide range of power supply tasks associated with development, testing or production necessitate specific adaptation of the power supply unit. 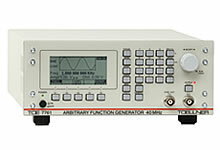 Function generators and arbitrary generators represent the most interesting and versatile group of measuring instruments in the LF range nowadays. Signal conditioning and amplification are required in many technical areas whether it be mechanical or control engineering, medical technology or testing procedures. 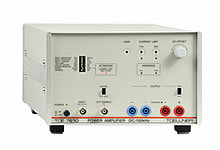 The broadband and 4-quadrant amplifiers from TOELLNER are capable of solving many tasks in the frequency range from DC to 5 MHz..
4-quadrant power supplies or 4-quadrant amplifiers are electronic modules which generate both positve and negative voltages, and which can also deliver and receive positive and negative currents. They can therefore be used as a source or sink. 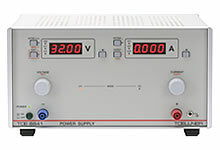 A 4-quadrant power supply of the TOE 7621 series is thus a bipolar voltage and current source as well as a current sink in one instrument. Use as a bipolar amplifier is also possible.